For more information on how to register, please contact us. Welcome to our Brampton child care centre. Tina and I (Shelley) have both been with Mini-Skool for many years. When you visit our child care school you may notice our “Years of Service” board where you will see that many of our teachers have also had long careers at Mini-Skool. We pride ourselves on the family-like feel of our licensed child care centre. We treat your children as if they were our own, providing the highest quality child care. Many of us have had our own children grow up in the extended Mini-Skool family. We welcome all families, and want each and every one to feel right at home. We are extremely proud of our before and after school child care program for children aged six to twelve years. We offer transportation to and from the following schools: Agnes Taylor Public School, Kingswood Dr. Public School, St. Anne Catholic Elementary School and St. Joachim Elementary School. For families who are moving or wish to help friends and family find the Mini-Skool center nearest to them, Mini-Skool’s school finder is a fast and easy way to find the closest Mini-Skool center. Even when the older children no longer attend our program, they love to come back for Summer Club. We offer a fun-filled nine weeks of outings and special events for children in grades one to six. The best part for you is that we provide snacks and lunches–no more lunches to make! As part of our approach to child care, we encourage all aspects of early childhood development through hands-on activities in our Discovery Areas. 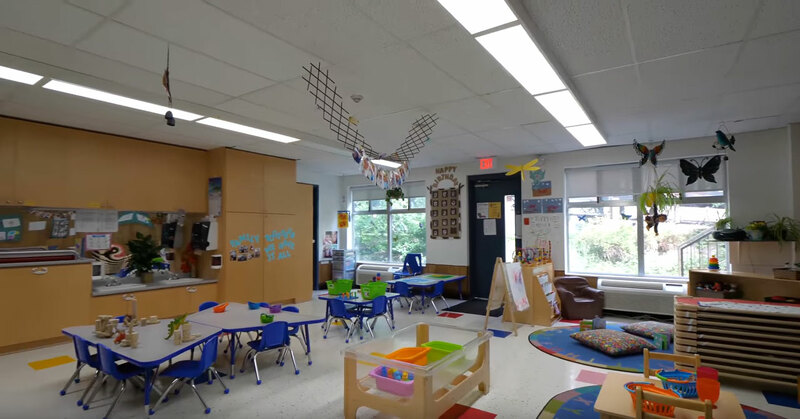 Please drop by for a visit to our Brampton child care centre, or call us at 905-457-1248 any time to arrange for a full tour. It will be our pleasure to show you our amazing centre! We feel strongly that children do best in a space designed for them. We look forward to meeting you. ”You have helped me raise a wonderful kid, and I cannot thank you enough.